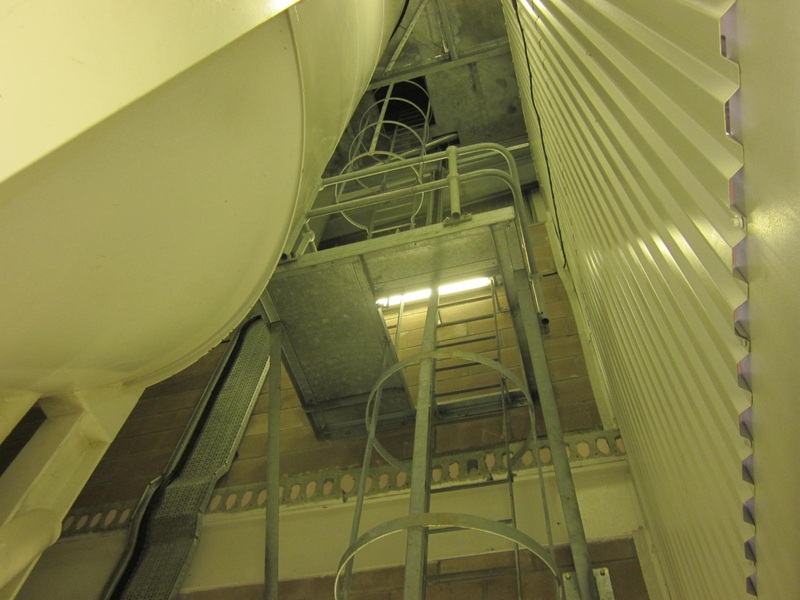 As a confined space specialist, CSC Services undertook a job to remove and replace air pad parts at the base of a lime silo at Glengap Water Treatment Works. Supported by Mines Rescue Service, CSC Services used an A-frame, hoist and bosuns chair arrangement to enter the confined space. 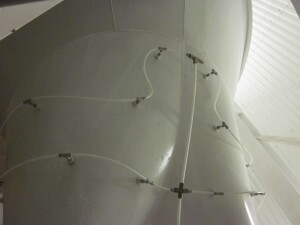 One of the outlet valves to the silo was removed to improve ventilation with access to the silo through the top of the structure. The Hydrated and Quicklime in the silo posed a serious health risk. Following careful planning to produce a safe system of work and wearing the appropriate respiratory device and approved PPE CSC Services operatives were able to remove and replace the filters. As a confined space specialist, all CSC Services operatives hold City & Guilds confined space certificates and are able to work in confined spaces on a range of structures including service reservoirs, industrial plants, culverts, shafts and vessels. CSC Services provide full cleaning, repair services and specialist coatings , making us a one stop shop for refurbishment work to confined spaces. Structures CSC Services have previously refurbished include: Service Reservoirs, Water Towers, Tunnels, Culverts, Shafts and Vessels. As experienced confined space contractors we can also provide entry/rescue teams to cover or support confined space works by other specialists.